The 2014 ACJS 51st Annual Meeting was held February 18-22 in Philadelphia, Pennsylvania. Among the 2014 award recipients honored at the meeting are three of our very own Anderson authors. Bruce Smith, Sr. Award – In recognition of outstanding contributions to criminal justice as an academic or professional endeavor. Gary Cordner joined the Department of Criminal Justice at Kutztown University in 2008, after teaching for 21 years at Eastern Kentucky University, including five years as Dean of the College of Justice & Safety. At EKU he also founded and directed the Regional Community Policing Institute and the International Justice & Safety Institute. Before EKU he worked as a police officer and police chief in Maryland and taught at Washington State University and the University of Baltimore. Gary is currently a Commissioner on the Commission on Accreditation for Law Enforcement Agencies. Take a look at Cordner’s Modern Policing blog. Cordner’s latest Anderson work is the eighth edition of Police Administration, a thorough overview of what police supervisors and administrators need to know. The eighth edition has been updated to included analysis of timely matters such as technology, the police intelligence function, information sharing, interagency cooperation, and more. Outstanding Mentors – Honoring outstanding mentors who during the course of their career have made a significant contribution to the professional development of graduate students and junior faculty members in criminal justice. Kimberly D. Dodson is an Assistant Professor and Graduate Coordinator in the School of Law Enforcement and Justice Administration at Western Illinois University. She earned her Ph.D. in Criminology from Indiana University of Pennsylvania. She teaches undergraduate and graduate courses in corrections, diversity, and ethics in criminal justice. 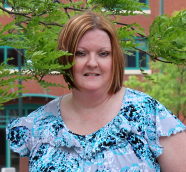 Her research interests include using evidence-based assessments to evaluate correctional programs and policies, the effectiveness of rehabilitation and treatment for minorities, and promoting thoughtful pedagogical practices in criminal justice. Dodson also is the creator and author of The Big House Blog. Dodson co-authored the third edition of Corrections: Exploring Crime, Punishment, and Justice in America. This book is a fresh, concise, comprehensive introduction to corrections, with an emphasis on ethical issues and evidence-based policies. Donal MacNamara Award – The purpose of the award is to recognize outstanding scholarship published in one of the publication venues of the Academy. Congratulations to Edward Latessa! The Importance of Ecological Context for Correctional Rehabilitation Programs: Understanding the Micro- and Macro-Level Dimensions of Successful Offender Treatment by Kevin A. Wright, Travis C. Pratt, Christopher T. Lowenkamp, and Edward J. Latessa was the winner. 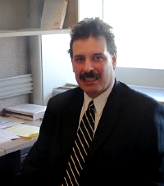 Edward J. Latessa is a Professor and Head of the School of Criminal Justice at the University of Cincinnati. Latessa has published more than 150 works in the area of criminal justice, corrections, and juvenile justice. He is co-author of seven books and has directed more than 150 funded research projects, including studies of day reporting centers, juvenile justice programs, drug courts, intensive supervision programs, halfway houses, and drug programs. He and his staff have also assessed more than 600 correctional programs throughout the United States, and he has provided assistance and workshops in more than 45 states. He is a past President of the Academy of Criminal Justice Sciences. In 2013, Latessa was named “one of the most innovative people in criminal justice” by criminal justice leaders and professionals in the United States in a national, multi-faceted survey about innovation and criminal justice reform conducted by the Center for Court Innovation in partnership with the Bureau of Justice Assistance and the U.S. Department of Justice. Latessa has co-authored Corrections in the Community (with Paula Smith) and What Works (and Doesn’t) in Reducing Recidivism (with Shelley Listwan and Deborah Koetzle). Critical Criminal Justice Scholar Award – Honoring a person with distinguished accomplishments that represent issues related to critical criminal justice through scholarship, teaching, or service across the most recent two-year period. Congratulations to Walter S. DeKeseredy! Walter S. DeKeseredy is Anna Deane Carlson Endowed Chair of Social Sciences and Professor of Sociology at West Virginia University. He has published 19 books and more than 130 scientific journal articles and book chapters on violence against women and other social problems. In 2008, the Institute on Violence, Abuse and Trauma gave him the Linda Saltzman Memorial Intimate Partner Violence Researcher Award. He also jointly received the 2004 Distinguished Scholar Award from the American Society of Criminology’s (ASC) Division on Women and Crime and the 2007 inaugural UOIT Research Excellence Award. In 1995, he received the Critical Criminologist of the Year Award from the ASC’s Division on Critical Criminology (DCC) and in 2008 the DCC gave him the Lifetime Achievement Award. DeKeseredy co-authored Deviance and Crime: Theory, Research and Policy. Take a look at more award winners in the meeting program. Congratulations once again to our authors! For more information on any of the books mentioned above, visit the Elsevier Store!